When it comes time to sell your property you need to know that your real estate agent is doing all they can to list your property, marketed appropriately and price it correctly the first time. As a Contra Costa and Alameda County real estate professional it is my job to do the market research in order to find the right price for your home, offer tips, suggestions and advice to staging and preparing your home and navigate the negotiations, offer and closing on your property. Whatever the reason for selling, you want the very most out of the sale of your home. This comes from doing the proper research to find a good starting point in order to price your home competitively. It's imperative for your real estate agent to understand the current market as well. We priced differently in a buyers market versus a sellers market. I understand that there are hundreds if not thousands of real estate agents that you can contact in order to sell your property and all of them should be able to list on the local MLS. But that's not the majority of our job. A great real estate agent will not just list the property but price it correctly and competitively, offer tips to staging your particular home to what buyers are really looking for and when you use an agent that not only works with sellers but buyers as well, you have a different perspective as to how to appeal, market and advertise to potential homebuyers. 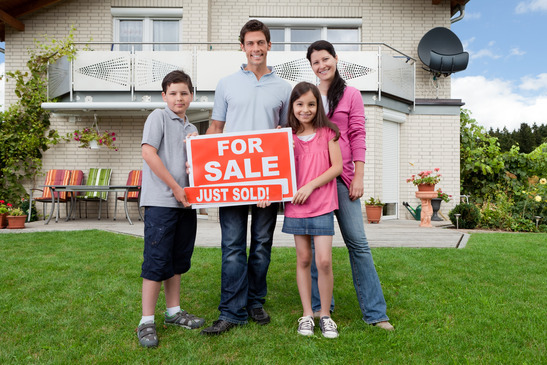 Here are some tips that you can do in order to help sell your property as quickly as possible. #1. Trust your agent. I can offer several referrals and resources to previous clients that are extremely happy with the sale of their home. This is a very competitive market and we need to price your home correctly from the beginning. Pricing it too high means it will sit on the market longer than it should and pricing it too low means you might get multiple offers but you could be leaving money on the table. #2. Don't underestimate the power of staging. Even in a competitive sellers market buyers are still looking for a properly staged home. Remove about half of the items in drawers, cupboards, pantries and closets. Make sure that buyers feel there's plenty of room to move around the home. Take down any personal memorabilia, photos or collections. Make the home feel as generic but as cozy as possible. You are appealing to a wide range of homebuyers whether it be a single person, young family or retirees. #3. Don't neglect the outside. Most real estate photos start with a picture of the outside of the home. This is where you can either break or make a sale. The outside needs to be just as staged is the inside with freshly mulched landscape, bright green grass, trimmed trees and bushes and a freshly painted front door, steps or trim. #4. Fix Any Minor Issues. If that jagged doorjamb has drove you nuts for several years, believe me that potential buyers will see it as a huge eyesore. Leaky faucets, chipped or damaged sinks, toilets or tubs, sticky doors or loose hinges will all need to be fixed ahead of time. An inspector will look at the big picture but any little items such as these will be big eyesores to potential buyers. When it comes time to sell your property you want the most profit and the quickest sale. Trust your agent, give me a call, let's find out what your home could potentially be worth and how quickly it could sell.